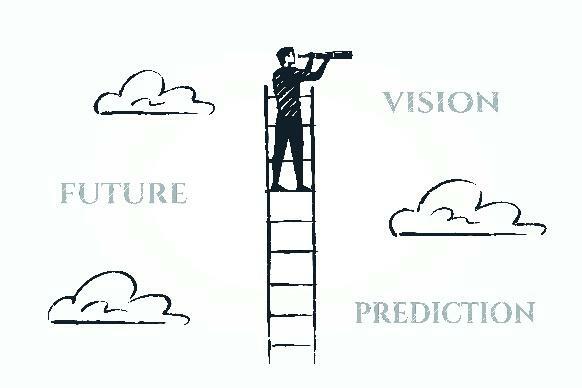 There is the world we all live in, thus in retrospect there’s another world being built on top of that world. The world that’s being built is the reason for Cryptobrands Corp,. a company that’s receptively building the physical retail products for the cryptocurrency market. It’s exigently necessary all cryptocurrency investors have access to remarkable and tangible products relative to the digital assets they love. Quality is our focus in the crypto retail space. We’re very selective on materials and process of design. The intricate details involved reciprocates tremendous consideration of the asset being mirrored for production. Illuminating that luxurious feel and attractiveness resides in every product we make that will draw attention for those paying attention to the owner of our crypto product. Our first release is the XRP Cross Border Placila belt that carries no holes. It automatically locks when pushed through the buckle and carries a release lever. We believe if a crypto belt has any holes its damaged. Our belts locks through groves on the backside of the belt which clear-cut with one of the finest leather. Losing weight or not, this belt needs no manual alterations. 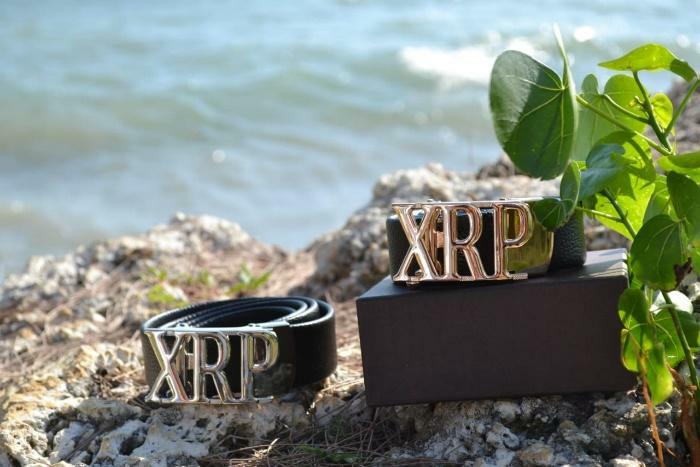 500 XRP belts are being offered for pre order upon press release. Visit us at our official portal and we hope you like our other products being made or being released soon. After visiting our website be sure to follow us on twitter and share us with friends around the globe. Other coin and token products will be designed in due time so check back. Ultimately our goal is to broadly create an ecosystem that supports investors and their coins, tokens and ICO’s with perceptibility through customization of specific products. After researching the most subdued areas lacking in the cryptocurrency market we found there are close to zero global preventive measures being offered to coins or tokens from bankruptcy other than loans and being listed on more exchanges. Our stance is to preserve, or mandate pervasive crypto projects with tangibility therefore extending economic growth and investors protection. Many projects carry substandard elements within their tokenization structure. Fundraising liquidity aka ICO alone in market segmentation depends too much on hype as remedy for positive price movement. My grandmother has always said never to put all your eggs in one basket. Deliberate dismissal of supporting palpability in an asset class relative to a coins or token within the industry will eliminate its relevance slowly like a cancer. It doesn’t matter the relevance of the ICO, Coin or Token without proper procedure in attracting commodity like structure all participants will lose. Any currency that is backed by position rather than tangibility will become problematic. All crypto coins and or tokens only backed by ideas will achieve somewhat of a genocide. Cryptobrands Corp products may help create a sustainable future for the cryptocurrency ecosystem through physical products. Pre-Orders will commence February 7th 2019 at 1:00 PM EST. 500 XRP Cryptobelts will be released. In this article, Slava Zheltov shares about USDQ, a unique decentralized stable coin that makes it easy to collateralize Bitcoin. As a Blockchain Architect at PLATINUM ENGINEERING, Slava acts as a full-stack front-end developer. Within his team, Slava is known for impeccable track record regarding security and reliability in projects, which he’s contributed to. Read this article and start learning about a decentralization wave, currently disrupting stable coin. The thought of your bitcoin and other cryptocurrencies fluctuating in value almost on a daily basis is a hard thing to accept. But fluctuation also affects regular money as we know it. If we want cryptocurrencies to become the future of money it should solve the issue of volatility first. The USDQ Token is a proposal to stabilize crypto and transition it from being a speculative asset to a functional store-of-value. First and foremost, USDQ is a cryptocurrency stable token. Like Tether [USDT]. This essentially means that its price is stabilized or “pegged” to the US Dollar. The Q DAO platform, on the other hand, is a smart contract platform built on Ethereum. The smart contract mechanism used is referred to as Collateralized Debt Contract. This cryptocurrency is supported by any Ethereum account and is also compatible by any smart contract developed to use the USDQ exchange function. It is more steady than most non-fiat currencies available on account of this mechanism of valuation. Where does the USDQ value originate from? The value of the USDQ stable coin is linked to the Q DAO smart contract platform using the Collateralized Debt Contract [CDC]. This means that anyone can choose to use their own assets, in this case, bitcoin [other top 10 crypto assets will be added in future], as collateral which works as a guarantee. This is made possible by the smart contract platform. The collateral assets are locked after being deposited into the Q DAO smart contract platform and allows the owner to generate USDQ stable tokens in return while at the same time creating debt for the same owner. This debt is necessary because it helps to maintain the collateral inside the smart contract until it is fully repaid by the amount of USDQ tokens it originally generated. When the repayment occurs then owners of the collateral can withdraw and receive their collateral back. The ecosystem and economy of the Q DAO platform and USDQ Token directly links both of these to the amounts being used as guarantee or collaterals. When more users request USDQ stable coins the total amount of Collateralized Debt Contacts [CDC] will increase along with it because it is the main way to obtain USDQ stable coins. This, in turn, increases the value of Q DAO tokens. These tokens are the last component of the USDQ ecosystem and they are Ethereum based tokens whose main use is to carefully manage the operations of the fund via means of a Decentralized Autonomous Organization [DAO] system. This includes voting rights and the capability of enforcing decisions based on majority rules. This last part is essential to the supply and demand of the Q DAO tokens. Inside the workings of a Q DAO transaction. To use Q DAO tokens a user must first send a request to the USDQ platform which initiates the CDС and its respective smart contract. Whenever a user wishes to mint USDQ, they will be asked to collateralize an amount in Bitcoin that is higher than the loan’s value. As of now, this rate is 166%. Step 2: Generation of USDQ Stable coins from the CDС smart contract. The user then executes another request or transaction to the platform to retrieve the USDQ that was generated on the first step. The platform also jots down the debt that is generated by this user which is the amount in need of repayment to unlock the collateral guarantee. The guarantee is always higher than the USDQ stable coins made available for the user as a safety measure. Step 3: User makes repayment of the generated debt. When the user finally makes the repayment of the generated debt they gain full access to the locked collateral. There is also an accrued interest fee that is meant to be paid which is accumulated daily. This means that the Q DAO tokens generated initially are taken back and removed from circulation. Since the entire operation has plenty of safety measures it is very self-regulated. Because all operations begin with any user having to provide collateral which will be lower to the amount of USDQ stable coins received it creates a dissuasive control to prevent fraudulent transactions. The Q DAO tokens are actually indicative of another type of cryptocurrency that is completely governed by smart contracts and economic mechanisms to influence its valuation more effectively. You should keep an eye on what the future holds for this cryptocurrency as it aims to become a pioneer in the industry of stable coins and cryptocurrencies alike. USDQ is a decentralized stable coin, which uses algorithms to offer higher stability and reliability. Fully on-chain and monitored by high-speed AI robots, ecosystem offers reliable defenses against malicious acts and attacks. First, run in the line of fiat-pegs, USDQ is brought by PLATINUM ENGINEERING Team, looking to edge together innovative solutions in collateralization, using stabilizing mechanisms and oracles for the high-endurance stable coin. Fully anonymous, USDQ breaks limits out of this legacy world. PLATINUM ENGINEERING is always happy to share its latest development and architecture solutions, helping stakeholders to spread improvements across crypto projects. Being an expert company on the market, PLATINUM ENGINEERING has already helped 150 crypto startups, enabling them to efficiently raise funds and introduce blockchains to their business models. With offices in Tokyo, Thailand, Russia, Belarus, and Korea, the team is always ready to have in-person meetings, focusing on how companies can leverage blockchain technology in order to meet their unique needs. 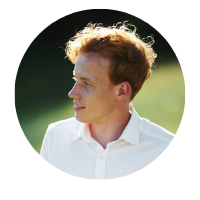 The team welcomes readers to connect on Telegram, Facebook, or LinkedIn. This overview may not be fully exhaustive and does not assess the viability of any project, nor its team legitimacy. Readers should conduct their own due diligence before using or investing in any of the listed Stablecoins. This article represents the author’s opinions only and should not be considered investment advice. All described functionality in the article is still under development, it can be changed/processed. Please follow the updates.